In embroidery, backing fabrics are used as a stabiliser - to help hold the fabric securely in place, so that it doesn't move during embroidery. 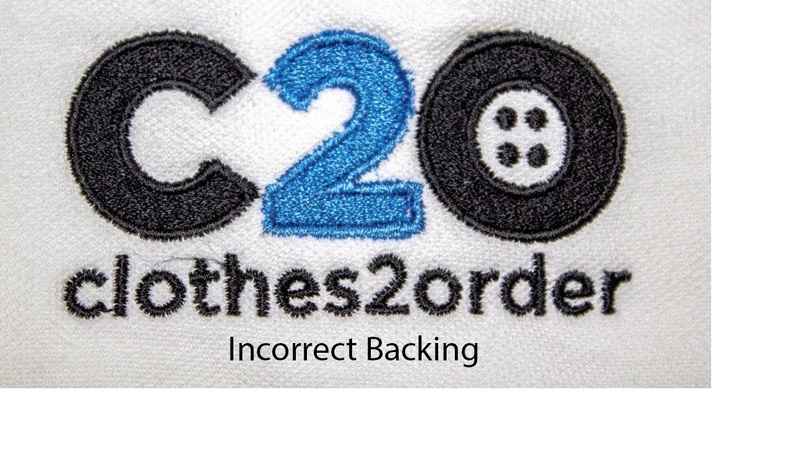 If the fabric does move during embroidery, then your design will not meet our ‘Quality Standards’ and this may result in different parts of the design (especially borders) not matching up with the filled areas - example below shows what can happen if we had used an incorrect backing, in this case, a lighter weight backing on our company logo. 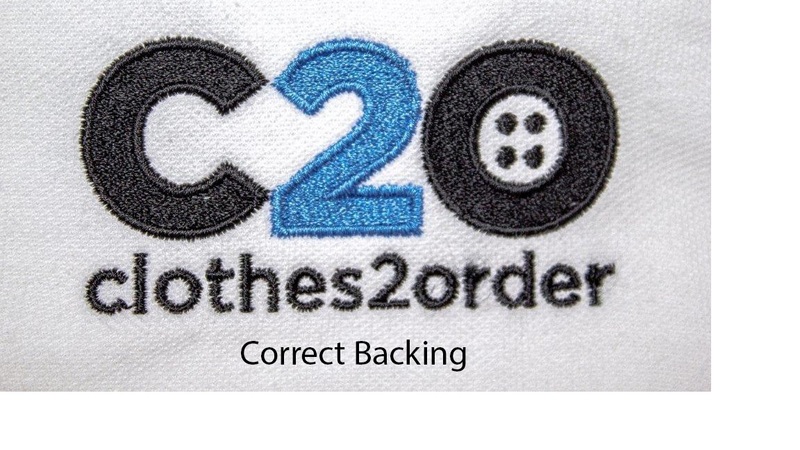 Plus a good backing will ensure that your design remains of the right quality even after washing and wear. The downside of using the most suitable backing to get the best design possible is that we may have had to use a backing that shows through after the production process. Unfortunately, we cannot improve this without risk of not producing a high quality embroidered design.